Did you know today is National Pet Day? The slogan for today is Don't Shop - Adopt! Here's Fiona! 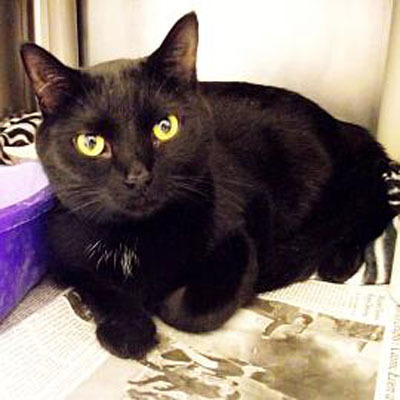 She is a 2 year old black short hair who likes to be where the action is. She likes to check things out- looking out the window, exploring nooks and crannies, and then finding you for some cuddle time and a nap. Fiona is available at our Fairport location. Please come and meet her at Lollypop Farm. She could be just the girl for you!